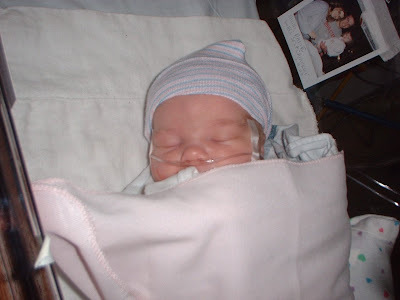 In January of 2003, a beautiful baby girl came into the world, eleven days late. She was not breathing and had no heartbeat. However, some wonderful NICU doctors brought her back to life. And with the help of some fantastic NICU nurses, she rebounded quickly and was able to go home just after ten days in the NICU. That beautiful baby girl, my very own Boo, is 6 years old now, and leads a fairly happy, healthy life. Not every NICU baby is so fortunate. 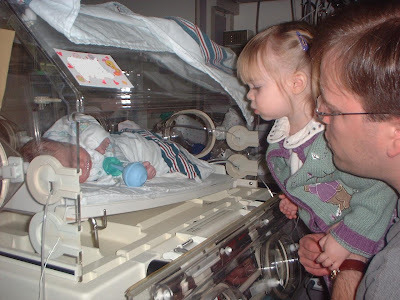 Most of the babies in a hospital NICU are born several weeks premature. They come into the world struggling and require very diligent care, by some very dedicated nurses and doctors to help them survive. Meanwhile, those precious babies have parents that also need some care. They spend many of their days in the NICU, have to take leave from their jobs, and have huge medical expenses. March of Dimes is there to help. They have a wonderful team of people ready to help those moms and dads in need and they also are there to support the fantastic NICU staff. On Sunday, I am walking with an inspiring team of women in the March for Babies. We are walking in memory of the beautiful Maddie Spohr, another NICU graduate that passed away two weeks ago. I am also walking to honor my own Boo and the wonderful team of doctors and nurses who took such great care of her. The mission of March of Dimes is to improve the health of babies by preventing birth defects, premature birth, and infant mortality. Please help by donating today! It doesn't have to be much, give whatever you can, even if just $1. Every bit counts! It's easy, safe and secure - just click on the button in my sidebar to make your donation.